Special Report: Sixty-nine years ago, British commanders dispatched mostly Canadian troops on a raid against German coastal defenses at the French city of Dieppe. The attack was a fiasco, losing more than half the landing force, but well-connected British officers spun the defeat into a P.R. victory, writes Don North. In many World War II history books, the reassuring story about the Allies’ raid on the French port of Dieppe on Aug. 19, 1942 which saw entire units of Canadian troops decimated by German fire is that it provided valuable lessons about amphibious tactics that turned the later Normandy invasion into a success. But now 69 years later, a closer reading of the historical record makes clear that the disaster at Dieppe was less a learning experience on how to conduct amphibious assaults than a template for how to spin a debacle, to protect the reputations of powerful military and political figures. The principal architect of the Dieppe fiasco was Lord Louis Mountbatten, a close relative of the British Royal family and a favorite of Prime Minister Winston Churchill who had appointed him to the important post of Chief of Combined Services. Known to his friends as “Dickie,” Mountbatten was famous for his vanity and unbridled ambition. It was often said of him that the truth, in his hands, was swiftly converted from what it was to what it should have been. With Churchill’s blessing, Mountbatten pushed through the Dieppe raid over the objections of many officers in the Allied military establishment who felt it was ill-advised. 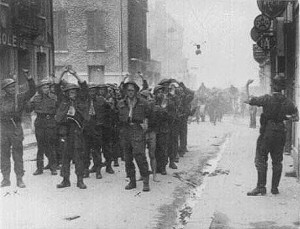 Given the fact that British and other Allied troops had barely escaped from Dunkirk two years earlier, the idea of landing the mostly Canadian force on the beaches of Dieppe, have them destroy some German coastal defenses, hold the town for two tides, and then withdraw might indeed have seemed rather foolhardy. But Mountbatten pushed for the raid as a dramatic blow against the Germans whose forces had shifted east to strike at the Soviet Union. The landing at Dieppe about 100 miles east of the D-Day beaches of Normandy would be the first large-scale daylight assault on a strongly held objective in Europe. It also would be the greatest amphibious landing since Gallipolli during World War I another bloody disaster and it would be the first time in history tanks would land on beaches held by the enemy. But Dieppe was to be another first as well. It would be the first big propaganda exercise of modern warfare. At the time, military-public relations were a newfangled notion, foreign to most senior British and Canadian officers. However Lord Mountbatten’s eager P.R. team took an opportunistic view. Included on his staff were two American publicists from Hollywood, Major Jock Lawrence and Lt. Douglas Fairbanks, Jr., son of the film star. Twenty-one war correspondents and photographers were allowed to accompany the raid. What they in fact witnessed was a tragic and costly fiasco. What they wrote, after their copy was vetted by Mountbatten’s censors, was largely fiction. Mountbatten’s self-serving analysis has remained a common lens through which to see the Dieppe raid, putting a rosy glow around the horrific losses. More than half the landing force was killed, wounded or captured without accomplishing a single major objective. The late British historian Robin Neillands was one who cut through the propaganda that has fogged a clear understanding of the Dieppe fiasco. In his 2005 book, The Dieppe Raid, Neillands wrote, “Many of the lessons of Dieppe were quite fundamental, there was no need to learn them again at such a terrible cost. “The Dieppe commanders failed to remember that loyalty should flow down as well as up; their loyalty was due to the nameless soldiers in the landing craft as much as to their superiors and dictates of the Service. Another veteran of Dieppe was Private Joe Ryan of Toronto, also of the Royal Regiment. 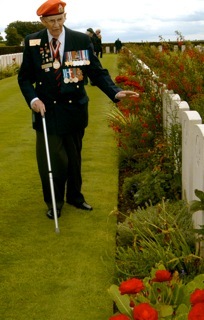 In 2007, I accompanied him for a return trip to Dieppe for the 65th anniversary of the landing. Ross Munro of the Canadian Press had been in the same landing craft as Ryan but did not venture onto the beach where piles of the dead were mounting. Ryan expressed disdain for Munro and the other journalists. I tried to convince Ryan that Munro had a good view of the embattled beach from the landing craft and was able to survive and return to England with his eyewitness story, which he could not have done if killed or captured by the Germans. While Mountbatten’s battle plan at Dieppe proved woefully inept, his P.R. plan was groundbreaking, even anticipating how to spin failure before the raid began. Proof that Mountbatten’s command planned to use Dieppe as propaganda whatever happened on the beaches can be found in the Combined Operations files in the archives at Kew near London. “In case the raid is unsuccessful the same basic principles must hold. 2. We cannot avoid stating the general composition of the force, since the enemy will know it and make capital of our losses and of any failure of the first effort of Canadian and U.S. troops. 3. Therefore, in the event of failure, the communiquÃ© must then stress the success of the operation as an essential test in the employment of substantial forces and equipment. The press releases, which were issued following the raid, followed Mountbatten’s P.R. prescription almost verbatim. “Vital experience has been gained in the employment of substantial numbers of troops in an assault, and in the transport of heavy equipment,” one communiquÃ© read. The actual fate of the invasion force wasn’t so cheery. Historical records show that 3,623 of the 6,086 men who made it ashore were killed, wounded or captured a loss rate of almost 60 percent. Mountbatten even convinced Churchill to replace his original critical account of the raid in his war history, The Hinge of Fate, with a more positive one written by Mountbatten himself, according to Brian Loring Villa, a professor of history at the University of Ottawa who wrote Unauthorized Action: Mountbatten and the Dieppe Raid. In 1974, in a speech to British war veterans, Mountbatten even accused the Canadians of changing his original plan to a frontal attack, Villa reported. Throughout his life, Lord Mountbatten continued to work assiduously to enhance his place in history, especially regarding his leadership of the Dieppe raid. 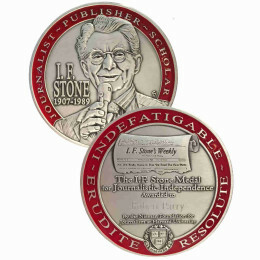 Despite some dissenting voices, he was largely successful, or at least he spared himself from any searing condemnation. “They plunged into about two feet of water and machine-gun bullets laced into them. Bodies piled up on the ramp. Some staggered to the beach and fell. “Looking out the open bow over the bodies on the ramp, I saw the slope leading up to a stone wall littered with Royal casualties. They had been cut down before they had a chance to fire a shot. “I am almost ashamed to read my report, but it was that or nothing. It was a day of wrangling, first with one censor and then with another, until our mutilated and emasculated texts, rendered almost bland under relentless pressure, was released 24 hours after our return. “It was all so stupidly frustrating. There was sheer folly at Dieppe, but that was at the planning level. Those who had to execute these misguided orders against impossible odds showed gallantry and heroism of the highest order. Ironically, the Dieppe story was more accurately written from the German side. But the larger problem about this imprecise narrative is that history is to the human race what reason is to the individual. Both extend our ability to think past the narrow present, and if they are distorted for whatever reason future misjudgements are invited. Truth can often be painful, especially for the foot soldiers and their loved ones who wish to cling to the positive spin of terrible events. My friends Roy Jacques and Joe Ryan went to their graves last year comforted by Mountbatten’s false claim that those who fought and died at Dieppe paved the way for victory at Normandy two years later. They can be forgiven, as can be the relatives and friends of those who died at Dieppe who desperately searched for meaning in the sacrifice and loss. It can take great personal courage to make hard and truthful judgments in wartime. In that sense, Dieppe is a cautionary tale against false patriotism. Glorified history can make war more palatable to the public, which can encourage its use again, often too readily and without regard to the real human consequences. One lesson that today’s readers can extract from the actual history of Dieppe is to read news articles about war with a measure of skepticism and to understand that the powerful will do what they can to spare themselves from accountability for their miscalculations and hubris. Though there is no draconian censorship of war news from Afghanistan, for instance, there is still pressure on reporters and news organizations to put the best face on events, not to be too negative. There also is a desire to give some positive meaning to the Afghan War and the parallel conflict in Iraq, to argue that the more than 6,000 American troops and their “coalition” partners who have died did not die in vain. But sometimes the sacrifice of these soldiers is more to advance or protect the reputations of political and military leaders than anything else. So far this August, 50 Americans have died in Afghanistan, including 30 from the crash of a Chinook helicopter. And the rate of suicides among veterans is also at epidemic levels. Dieppe was a case of deceitful manipulation of the press into reporting a defeat as a victory. In Afghanistan today, however, it is more a case of American journalists being almost absent from the war. 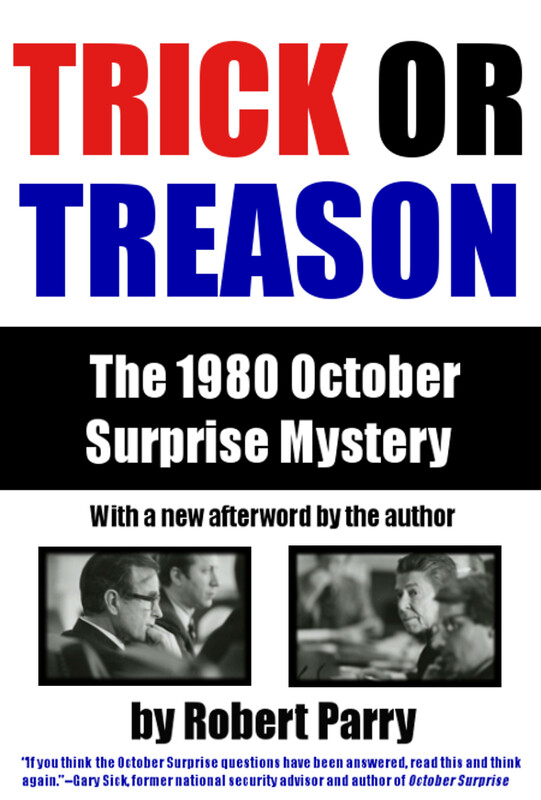 With few exceptions, those who are present are covering the war the way the U.S. government presents it to them. The lesson from Dieppe may be that if the “first rough draft of history” as reported in the news media is distorted, it can live on indefinitely unless there is aggressive scholarship to counter it. The question from America’s open-ended wars after the 9/11 attacks may be: what happens when journalists are not even there to write the first draft? 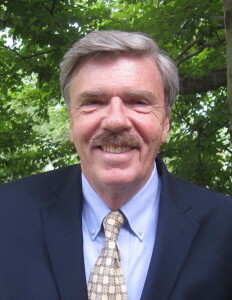 Don North, who was born in Canada, has been a war reporter since covering Vietnam beginning in 1965. North has known and interviewed dozens of veterans of the Dieppe raid and researched it in the British and Canadian war archives. This article is based on a chapter from the manuscript of his book Inappropriate Conduct which deals with war reporting in World War II. 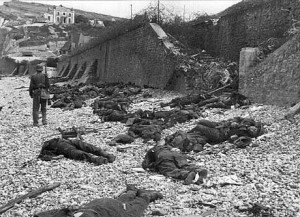 Was Dieppe orchestrated as a sop to Stalin? to allow Stalin to propagandise his people toward the notion that they (the Russians) were not alone? Or maybe: Did Stalin demand a blood letting to prove fidelity? Or alternately, maybe Mountbatten, old school style, wanted to communicate fidelity without being asked? Another possibility would seem to be the need for Allied home front to ‘know what they are fighting for’. Stalin faced a similar moral situation in the far east and orchestrated a terrible Soviet force loss at the hands of the Japanese in order, as he said later, to let his home front ‘know what they were fighting for’. But there is also a backwards truth in what Mountbatten said. The British leadership really was so very bad that they did Dieppe despite many opportunities to have learned better, most recently their Narvik fiasco. British officers were many of them ill trained and self satisfied incompetents. This and a few other things like it helped clean them up a bit. They are now entirely different than they were before Dieppe, and Dieppe played an important part in making that happen. by opening a second front. But the Allies were not ready to invade France in 1942 with insufficient forces and a lack of landing craft. Other priorities like the North Africa campaign and the u-boat war held the Allies to only raids on Europe. I have seen no evidence that as wanting in leadership Mountbatten proved to be that he sought a bloodbath at Dieppe to “let the home front know what they were fighting for.” The British already had their blood letting at Dunkirk and the Americans at Pearl harbor. This is not an excuse, but my father was a British medical officer and he did look after the needs of Canadian forces but mostly in northern England. He looked after one who drank hard cider, unknowingly strong to him, and he fell of a building climbing the outdoor plumbing. Another incident was at gunnery training when an officer ordered a gun be fired before the mussel cover had been removed, costing several lives. He said that the Canadian troops where bored stiff having been in the cold wet uncomfortable English climate for some time and not doing anything. Before Dieppe, they were most eager for action, making discipline more difficult. Could there have been pressure to get them active. John, thanks for this insight on your fathers experience as a medical officer for Canadian troops before Dieppe. There is no doubt there was strong pressure, mainly from the Canadians themselves, including Prime Minister MacKenzie King to get them into action in Europe. Canadian units first arrived in England in 1940 very anxious to get into the fighting. The Canadian soldier was tough, well educated and independently minded and with little patience for formal discipline. Two years of only training took its toll. Denied action against the enemy they found it in brawling with the police, fighting in pubs and military discipline suffered. When the prospect of action at Dieppe developed Canadian Generals were delighted.There was ample evidence that the Dieppe raid would be a fiasco, but it would have taken exceptional courage for officers commanding the Canadians to have done the right thing and refused to participate. The result was the needless deaths of over a thousand troops on the landing beaches. I bet most of you thought that Orwell’s “1984” was a work of fiction. Truth is STILL a casualty in succeeding British conflicts. Liz Curtis in her magisterial critique of British press coverage of the NI “Troubles” “Ireland: The Propaganda War” (Pluto Press, 1984) cites a former correspondent of a British tabloid who recalls that what he remembers most about the conflict is the uncomfortable stories he heard but never published about the conduct of the security forces during the Troubles. He cites a case in which on the day of internment(August 1971) Paras and RUC men beat a Catholic man so brutally that he was taken to hospital with a fractured skull. When he phoned over his story, his editor not only refused to print the story but threatened to sack him if ever again suggested that the Army was doing such dreadful things in Northern Ireland! In all conflicts of all armies. Modern propaganda was made scientific by an American marketing expert in WWI to support the War to End All Wars, and this work was studied by and quoted by the Nazis. landing on Dieppe during the war as well as that on St.Nazaire. radio news and UFA newsreal showing scores of dead soldiers on the beach. I didn’t know there were 6000 troops involved. We thought there were only a few hundred soldiers only Canadians. I might try to get North’s book “Inappropriate conduct”. as was heard by civilians at home. John, thanks for your interest in my book “Inappropriate Conduct” from which the Dieppe story was written. Unfortunately, no publisher has shown interest and I will publish it myself in the near future. There is a dramatic episode in the National Film Board documentary, “Grierson,” about its founder, John Grierson, where he is portrayed as listening to Goebbels’ propaganda and concluding that it was telling the truth and that Dieppe was a disaster, so he sent word (in his capacity as the authority in the Wartime Information Board) to the media to play the story down.